It is the 13th century, and Russia is overrun by foreign invaders. 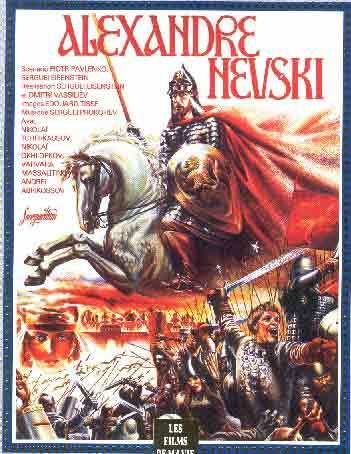 A Russian knyaz', or prince, Alexander Nevsky, rallies the people to form a ragtag army to drive back an invasion by the Teutonic knights. 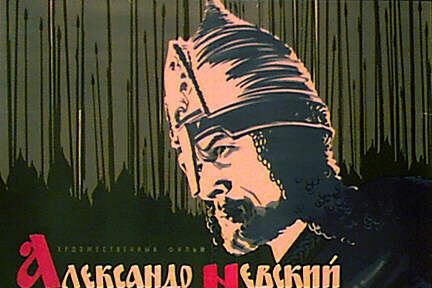 This is a true story based on the actual battle at a lake near Novgorod. I got it!They don't like the Germans. 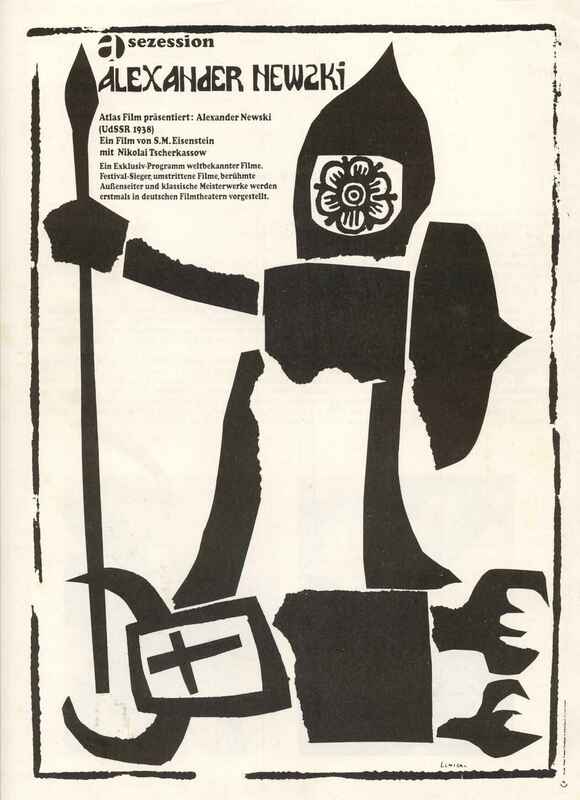 Russian movies of this time period portray Germans in a very poor light, and this makes sense. They are also into socialist realism (not realism, but socialist realism), and so these are the kinds of films that are going to be pumped out. Propaganda. I give it a 6/10 or maybe, just maybe, a 7. 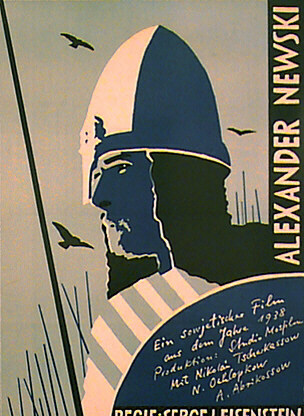 It is ironic that Nevsky himself looks German, as well as some of the other characters, but perhaps this is due to the fact that the movie deals with traitors, and the enemies within Russia.Then there is the plot, which consists of about 40 minutes of nothing but the battle, and Russians and Germans simply attacking each other, screaming. The music is great, though. 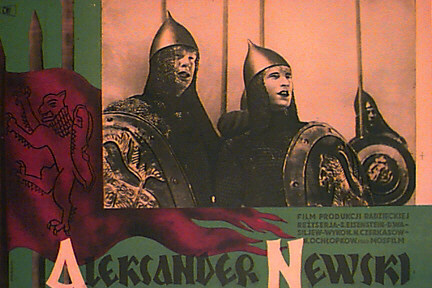 I have the feeling that Eisenstein was a little upset that the general audience didn't take too well to October (they didn't really understand it), and they actually banned those kinds of incomprehensible movies. So he decided that maybe here was something the general public could relate to. Germans bad! Russia good! Revenge! Kill! SPOILER APPROACHING!!! 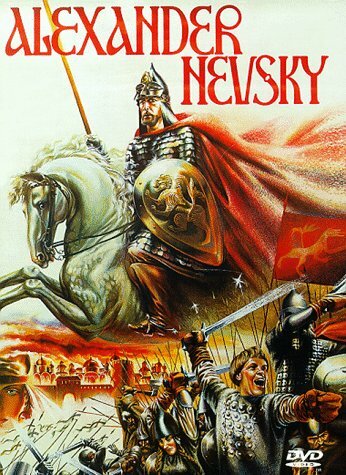 And in the end, Nevsky must live, cause Stalin says so.